Vi har dessverre ikke tillatelse til å selge boken til deg i landet du befinner deg i nå. 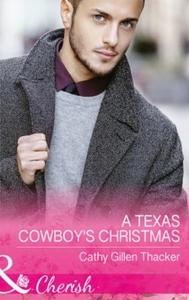 A GIFT AS BIG AS TEXAS Molly Griffith is ambitious, and only wants to give her little boy the opportunities she never had. Which means moving to Dallas, no matter what Chance Lockhart says! Though being with the handsome rancher does make the idea of small town life more tempting... Molly has always gotten under Chance's skin, and now that he's bonded with her little tyke he can't imagine Bullhaven Ranch without them. But the single mom is so focused on her big city fairy tale, she could miss Chance's offer of the most important gift of all-the love and support of a real family.